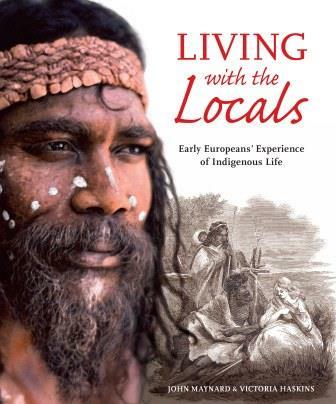 Living with the Locals, Early Europeans’ Experience of Indigenous Life, by John Maynard and Victoria Haskins, is fascinating reading, and it is, as I predicted, great companion reading to Larissa Behrendt’s Finding Eliza, Power and Colonial Storytelling (see my review). It’s a combination of tales of shipwreck and escape, a glimpse into indigenous life and culture at First Contact, and an analysis of the ways in which these survival stories were told and misappropriated afterwards. With full colour illustrations sourced from the collection at the National Library of Australia, the book includes a map of our eastern seaboard, identifying the places where shipwreck survivors and convict escapees were taken in and cared for by the local indigenous people. These authors have confronted the colonial fixation on violent ‘warfare’ by noting that it bore more resemblance to legal retribution or to sport, and they dismiss the obsession with cannibalism which they say was in colonial times used as propaganda to justify ‘civilising’ the continent in wars of genocidal extermination and today is often mobilised to justify divisive race politics. The evidence is that it was associated only with rituals of the dead if at all, and not as sustenance or to generate fear. By contrast, as Behrendt also noted in Finding Eliza, White cannibalism for sustenance amongst shipwrecked sailors was a genuine possibility with some notorious cases making it to the courts back in Britain. The earliest known runaways were four convicts who escaped the Rose Hill settlement in 1790, and they were not discovered until five years later. These men spoke of the pacific disposition and gentle manners of the natives and indeed two of them, Tarwood and Lee, took the opportunity two years later to take off into the bush again, perhaps to be reunited with their wives and children. They were never seen again. It seems that most male escapees and shipwreck survivors were welcomed sufficiently into Indigenous life to take wives and have families of their own, but not surprisingly the accounts of females living with Indigenous people are more coy about their experiences. Stories about elusive white women living with Aboriginal people were not uncommon, and the authors make reference to the ‘White Woman of Gippsland’, whose story is the basis of Liam Davison’s sensitive interpretation in his novel The White Woman (see my review). But if it was, in general, risky for Aboriginal people to come in contact with White people at this time, it was doubly so if they took in any women, because of the fear of a reprisal massacre after she was rescued. The illustrations are a superb accompaniment to the text. There are double page spreads of colonial landscape paintings, photographs of both survivors and indigenous people, and detailed drawings of tools and equipment used by indigenous people in this period. 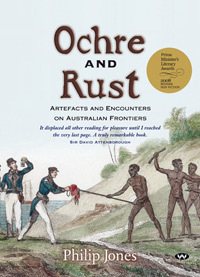 As was noted in Ochre and Rust (2007) by Philip Jones (see my review) there is ample evidence of how quickly Indigenous people adapted new materials for their own use, notably iron for canoes (which they salvaged from hoops on ships’ barrels), and glass replacing emu and kangaroo bone barbs on spears. Each survival story is accompanied by a section which provides information about indigenous life and culture gleaned from the survivor’s account. For example, the story of the 14 year-old French apprentice, Narcisse Pelletier, who was marooned for 17 years with the Uutaalnganu people of Cape York, includes a photo of him bare-chested with cicatrices (ceremonial scars) and also a brooding studio portrait of him after his reluctant return, showing the extended lobe of his right ear where he had worn a piece of wood about half an inch in diameter and four inches long. There is a copy of the letter he wrote home once he regained his native language, and an illustration of the specialised fishing spears that were used by the Uutaalnganu. There is a photo of a magnificent ceremonial drum, and also a 1930 photo of Cape York man painted up for ceremony, and another of an early 20th century group ready for ceremony in a photo that shows the influence of the new in the clothing they are wearing. These images accompany the section called Pelletier’s Aboriginal Life, under the headings Initiation and Marriage; Gathering and Hunting on the Land; Hunting in the Sea; New Tools of Iron; Warfare and Retribution; Retribution after Murder; and Spiritual Beliefs. For anyone wanting to know about Aboriginal life and culture in the colonial period, these authentic accounts, disentangled from sensationalism and prejudice, are invaluable. In the concluding pages, the authors discuss the tantalising possibilities of what might have been and what still can be if people are open to thinking about adapting to indigenous ways. Available from Fishpond: Living with the Locals: Early Europeans’ Experience of Indigenous Life; from the NLA Bookshop; and good bookshops everywhere. 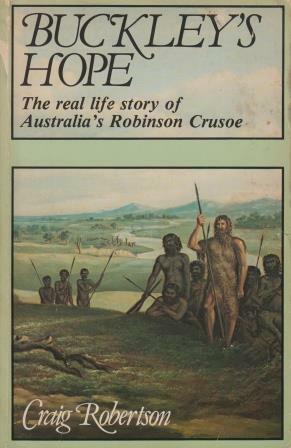 It seems clear from Buckley’s story, from the (probably 2nd hand) account in Ralph Rashleigh, from the oral histories collected by Kim Scott, and now from this book, that individual europeans were by and large treated as equals (not as enemies), or as you say, refugees, when they wandered into indigenous communities. And Watkin Tench’s 1788 should be compulsory reading for all high school students. You really must read Tench. It’s absorbing and wonderful. And extraordinarily easy to read. Prof Marcia Langton has cited it as her favourite work of Australian literature. I know! And I know about that surprising endorsement from Langton! But… but… I am surrounded by absorbing and wonderful books, they jostle against each other in the library demanding to get to the top of the pile and … and… I am helpless to bring some order to my own idiosyncrasies when it comes to choosing what to read next. LOL! So many books, so little time, right? I feel your pain, ha ha. But do add Tench to your pile (the metaphorical one or the real one – doesn’t matter!) It’s such a slim volume that it shouldn’t cause too many topples. When the time is right you’ll find him.